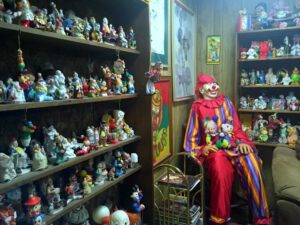 If you have an extra $900,000 lying around, you can be the new owner of the Clown Motel, a 31-room clown themed destination motel in Nevada. 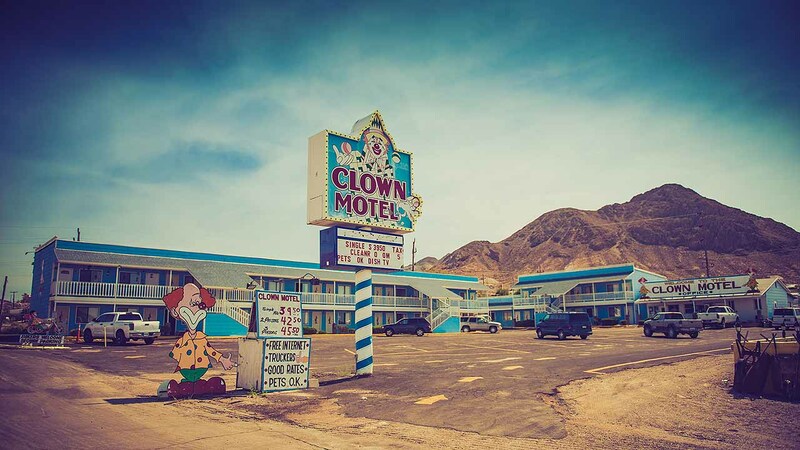 Located in Tonopah, just three hours northeast of Las Vegas and four hours southeast of Reno, the Clown Motel has been owned by Bob Perchetti since he opened it in 1995. The lobby is filled with clowns. 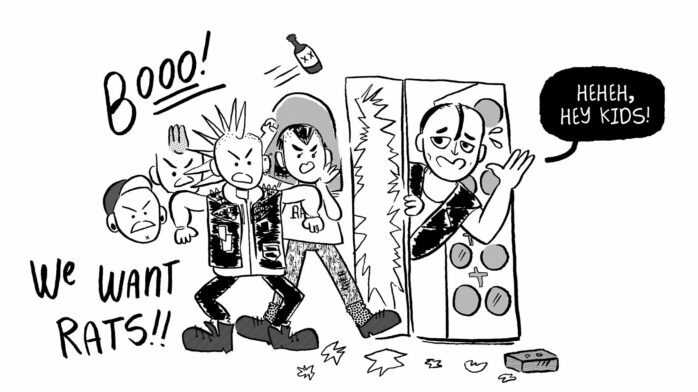 The rooms are filled with clowns. Some of the clowns even hang above the beds. Guests have been known to cover up the clowns to avoid nightmares. But Perchetti isn’t going far, he has lived in Tonopah his entire life, and he doesn’t have any plans to leave, “Oh, I’m going to miss the clowns. 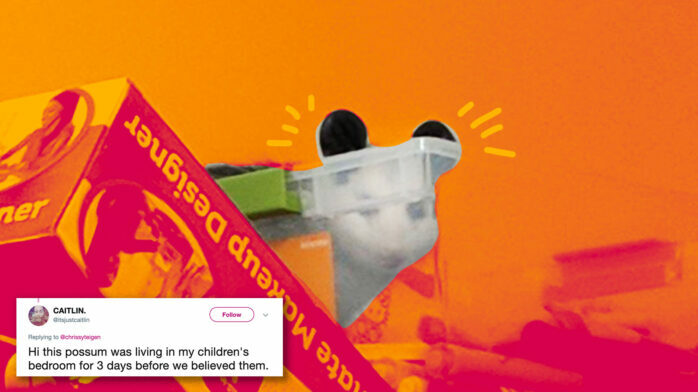 I’m going to come back. I’m going to come back and visit my clowns,” Perchetti said. 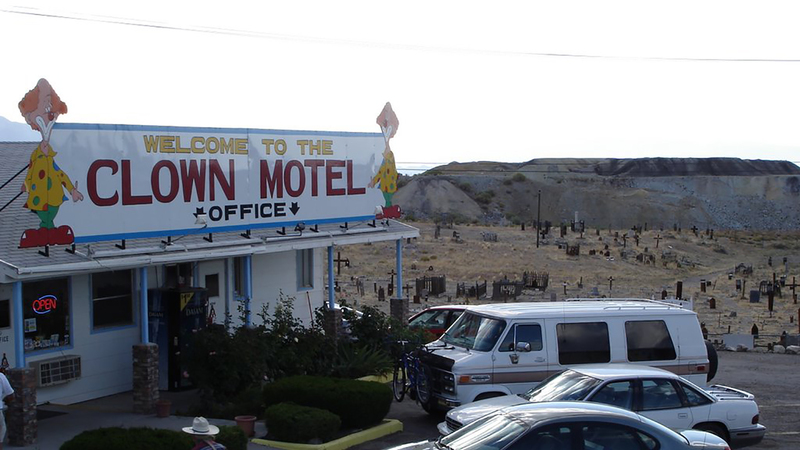 A condition of any historic site sale is that the Clown Motel must keep its heritage. Did we mention the cemetery next door to the motel? It’s filled with the victims of a mysterious plague in 1902. “Old Tonopah Cemetery was founded May 7, 1901 with the burial of John Randel Weeks, and was active until April 1911 when the number of dead outgrew the tiny plot, and the growing town required a new cemetery. Some three hundred people are interred at the old location, including many of Tonopah’s pioneer residents, many of whom fell victim to the mysterious 1902 “Tonopah Plague”, the cause of which still remains a mystery.” via Atlas Obscura.